Looking for a contemporary home...on a quiet cul-de-sac...with panoramic mountain and city views? Here it is! This stunning 3 bedroom and 2.5 bath home boasts 2,000+ sq. ft. and rests on a flat 10,000+ sq. ft. lot. Enjoy modern touches in every corner of this impressive property. The interior features include: remodeled master bath, dual-pane windows/sliders, hardwood floors, vaulted ceilings, built-in closets, stainless steel appliances, cozy fireplace, and more! This is the property for those looking to enjoy the year round Santa Barbara weather. The outdoor features: manicured lawn, concrete walkways, multiple patios, fully fenced yard, jacuzzi, and drought tolerant landscaping. Centrally located in a desirable neighborhood between the beach and downtown. This is a property you must see in person!!! Looking for a contemporary home...on a quiet cul-de-sac...with panoramic mountain and city views? Here it is! This stunning 3 bedroom and 2.5 bath home boasts 2,000+ sq. ft. and rests on a flat 10,000+ sq. ft. lot. Enjoy modern touches in every corner of this impressive property. The interior features include: remodeled master bath, dual-pane windows/sliders, hardwood floors, vaulted ceilings, built-in closets, stainless steel appliances, cozy fireplace, and more! This is the property for those looking to enjoy the year round Santa Barbara weather. The outdoor features: manicured lawn, concrete walkways, multiple patios, fully fenced yard, jacuzzi, and drought tolerant landscaping. Centrally located in a desirable neighborhood between the beach and downtown. This is a property you must see in person!!! 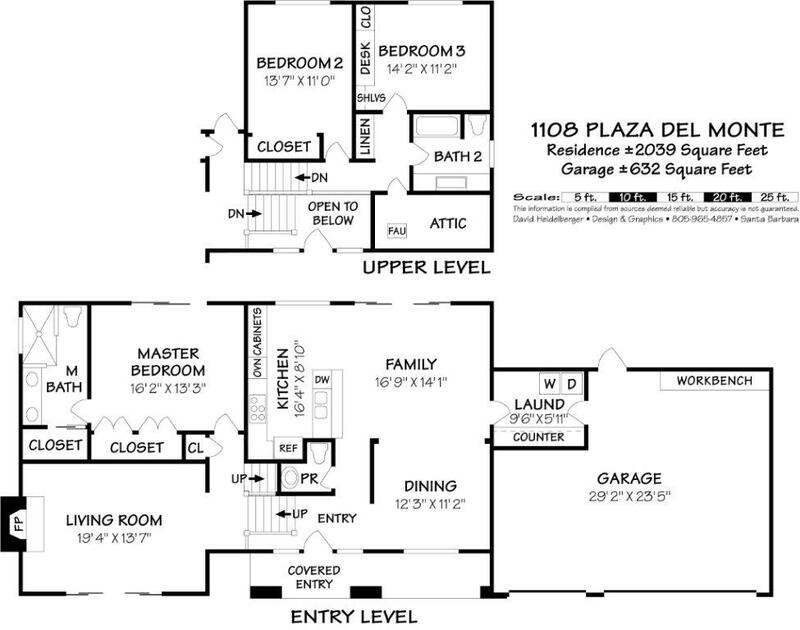 1108 Plaza Del Monte, Santa Barbara, CA from Mike Richardson, Realtors on Vimeo. House Size: 2056 sq. ft.